Nowadays you never go to the toilet without your smart device or at least a magazine if no magazine rack is not already there. Doing your… thing… without your smartphone is just not the same. Otherwise, you have no reason to stay longer than necessary. The only problem so far was the fact that you couldn’t do two things at the same time. Things like holding your smartphone while you…. well you know. 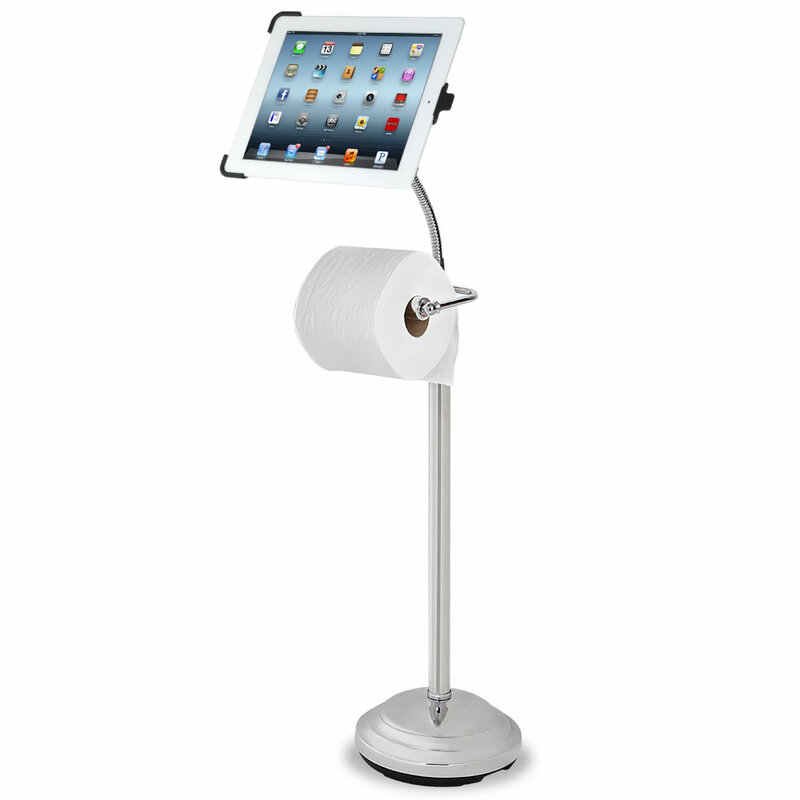 Now the iPad Commode Caddy comes and changes everything. Love reading the morning news while I ……..hhhmmmmgg……. The iPad Commode Caddy is a bathroom stand which will most probably replace your magazine rack or basket in your bathroom, accommodating both your toilet paper roll and your iPad. Your tablet is placed at either horizontal or vertical position at approx. 32″ from the floor, making it ideal for reading while you are sitting. Made from sturdy chromed steel with a sturdy base which doesn’t slide while your iPad remains secure at three points without any problem accessing all controls. 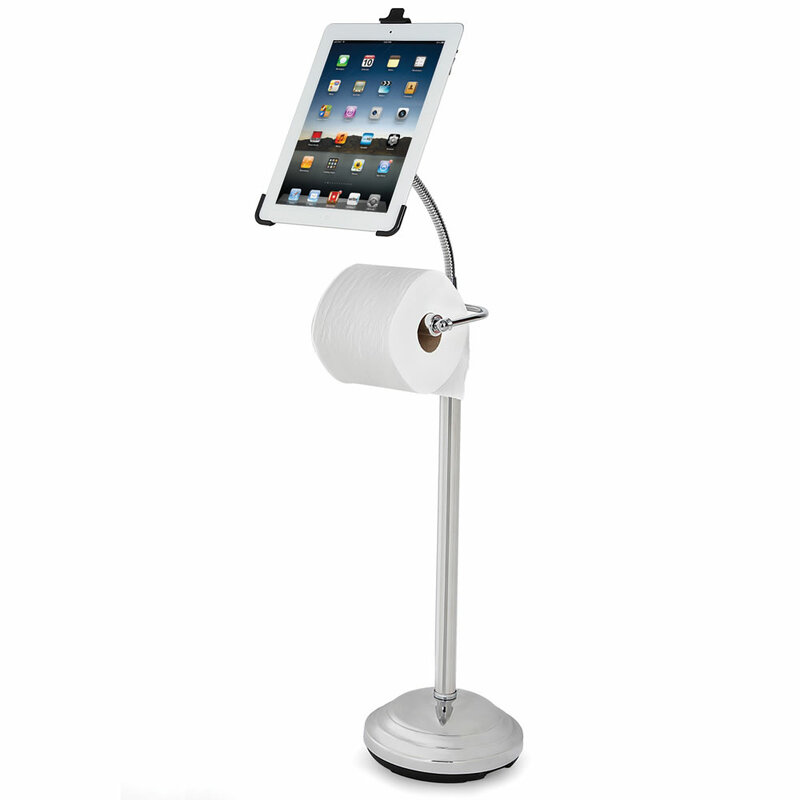 The iPad Commode Caddy is priced at $69.95. Totally worth each penny for your iPad2 or later version. Do you feel like going to the toilet more often?